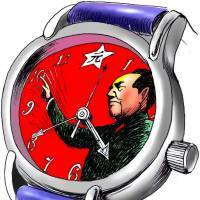 His policies resulted in the deaths of an estimated 45 million Chinese, yet Mao Zedong remains the symbol of both the party and the state 40 years after his passing. Confidence in Hong Kong's "one country, two systems" will continue to plummet if China fails to uphold the rule of law there. Lam Wing-kee, is a name that should go down in history, both for Hong Kong and China. 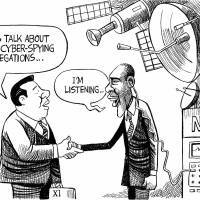 Given Chinese Foreign Minister Wang Yi's attempt to stifle the Canadian press, how credible is China's latest pledge to protect human rights? The Chinese Communist Party should realize that it's important to maintain the credibility of its interlocutor in Taiwan. 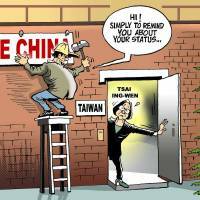 Forcing President Tsai Ing-wen to kowtow isn't good for anyone. 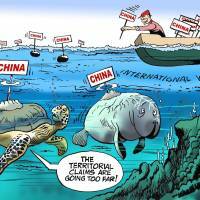 China is miffed that despite its best efforts, Japan managed to get South China Sea issues on the Group of Seven's agenda. The Singapore summit set a precedent for leaders in China and Taiwan to meet as equals as far as protocol is concerned, regardless of which party is in power in Taiwan. Britain's burgeoning trade ties with China won't give London greater clout over Beijing's Hong Kong policy. China is an important trade partner for the countries involved in the TPP, and its future participation in the trade bloc can't be ruled out. 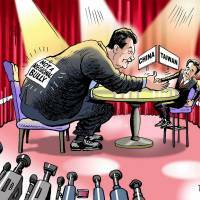 Following Xi Jinping's visit to the U.S., China touted progress in their "Major-Country Relationship," a topic on which Washington was curiously silent.